I'm hoping your eagle-eyed readers can help me. Yesterday afternoon, sometime between 3pm and 5pm, somebody stole my wheelie-bin from outside my building in Portobello. My full wheelie-bin. This wasn't a nice green recycling bin, oh no, this was a dirty, smelly black bin, full of dirty, smelly rubbish, just sitting there, minding its own business and waiting to be collected an hour or so later. The perpetrators of this heinous crime whisked it away, first to approximately two streets over where they emptied the contents of the bin all over the road. And there the trail grows cold. I know I should have locked it, my friend said that you should always spend at least 10% of the value of your wheelie-bin on a good lock, or failing that apply a roll or two of duct-tape to keep it secure in place. But I thought to myself, "sure it's only out for a few hours, there's no need to worry. 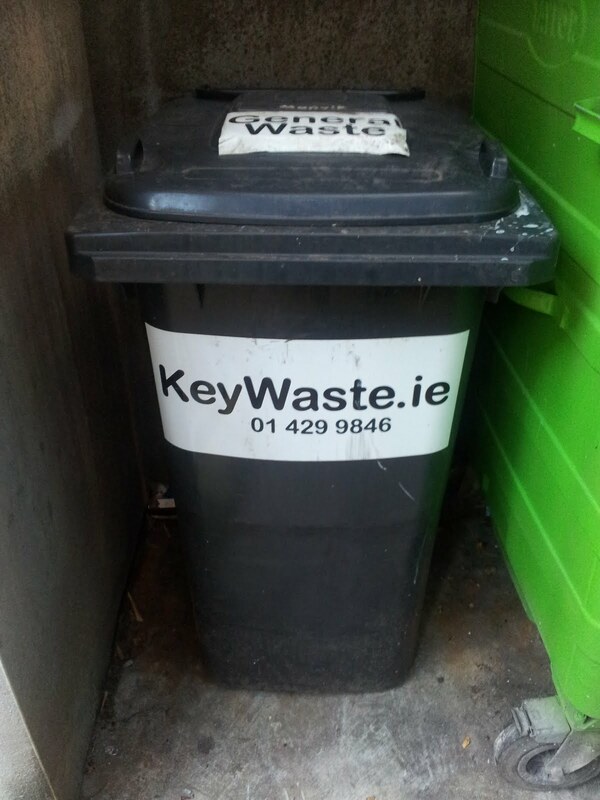 Who in their right mind would steal a full black wheelie-bin?" I feel a bit ashamed now, because I did deliberately put it in a row of other slightly better looking bins in the hope that if someone did want a bin, there would be other more attractive options. I had thought of putting a basket on it, I've heard that no one ever steals it if it has a girly wicker basket on the front, but sadly I never got around to it. I stopped a passing Garda as he rolled his Segway down the street at a jaunty angle, but he didn't seem too interested. Given the maximum possible speed that one could travel at encumbered by a full wheelie-bin, I thought this surely would be the one crime the Segway Corps could actually tackle, but he had some Pro-Choice posters to tear down, and he segued away with a determined look in his steely grey eyes. "You've had your fun now", he muttered, his words catching on the wind and slipping away into the morning sky. So left abandoned by the law, I turn to you and your readers in the hope that someone out there might have seen my wheelie-bin this morning. It is black, with no gears (so I suppose it's technically a fixie), and has the manufacturer's brand ("KeyWaste") highlighted in black and white on the frame. It is still less than twenty hours since the theft occurred. I heard that if you don't recover it within 24 hours, it has probably already been shipped out of the country in the back of a Transit van or siting in a back-street lock-up chopped up for parts. It's not really worth that much, but it has strong sentimental value. I'm enclosing a photo of a similar wheelie-bin (mine would have been a little less flashy), so if any of your readers spot it on the streets of Dublin, or if any of them "know some people", can they give me a shout?